With Q1 behind us we probably shouldn’t forecast 2017 as the year of the car’s return, as SUV growth is still at unprecedented rates, but some models give the future of ground-hugging models hope. 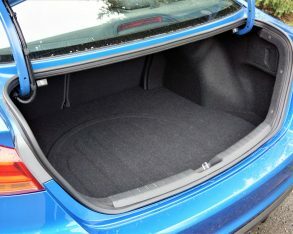 After hovering around the 65k mark for the past half decade Honda’s Civic once again shows that the market for cars is ripe if you build something people want to buy (consider that thought for a moment Dodge), the ever-growing compact finding 7,251 buyers so far this year and 64,552 during calendar year 2016, while Toyota’s new Corolla family (it now includes the orphaned Scion iM in its ranks) was good for 5,996 deliveries over the first three months of 2017 and 48,195 last year. 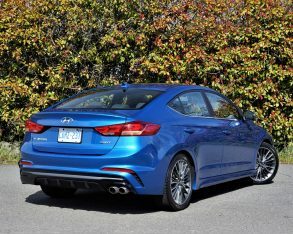 How about Hyundai and its Elantra? Thought you’d never ask. It’s running in third so far this year at 4,334 units despite being second in 2016 with 48,875, but 2017 is still young so we’ll just have to wait and see how things come out in the wash (we should really include Veloster sales in with the Elantra as it’s a sporty compact that effectively does battle with the Civic Coupe, although its miniscule 229 deliveries over Q1 2017 and 1,831 last year won’t help it measure up to the Corolla family second-place sales lead). 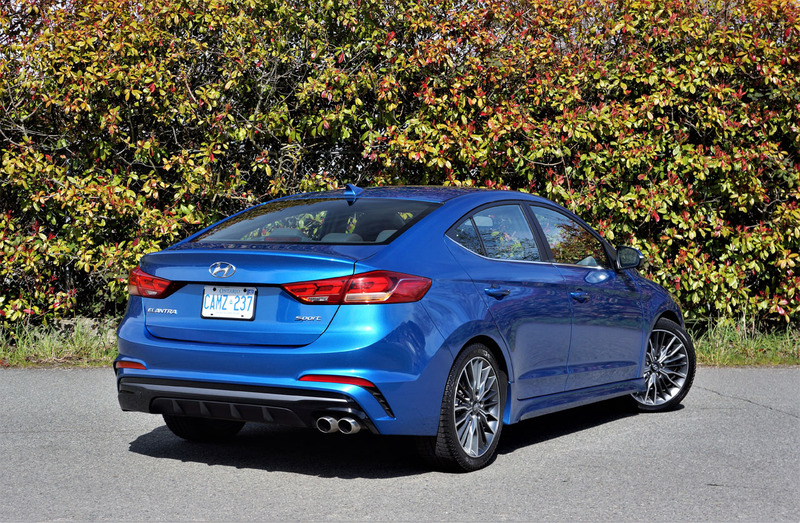 Just the same the Elantra has a lot going for it, including the five-door Elantra GT. 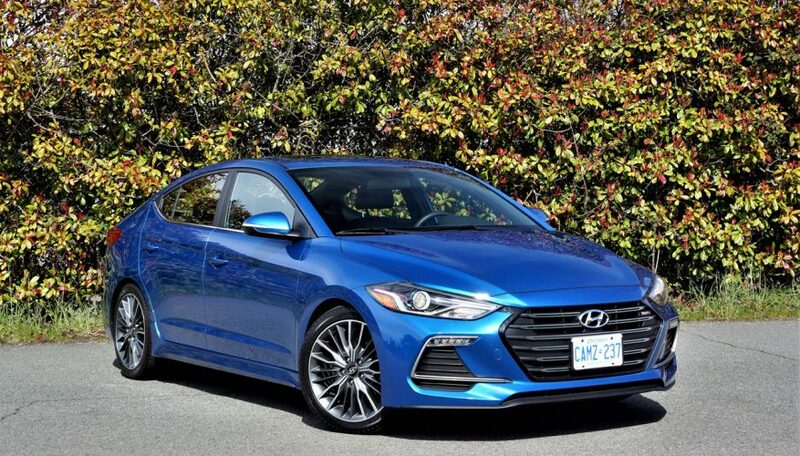 We drove that car way back in September of 2015 as its ushered in a new grille design for the 2016 model year, and then in March of 2016 we reviewed the completely redesigned 2017 Elantra Sedan in Limited guise as well, but since then Hyundai released new Sport trim for the four-door model and it’s been a breath of fresh air. 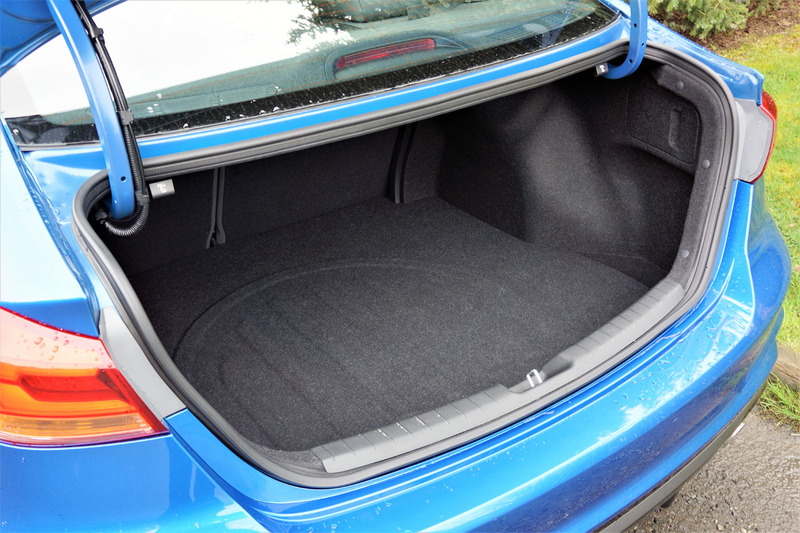 I won’t go into detail about its driving dynamics as that would give away the real meat of our upcoming road test review, but let’s just say the brand’s new engineering team is doing as much for chassis development as its design team has improved styling. 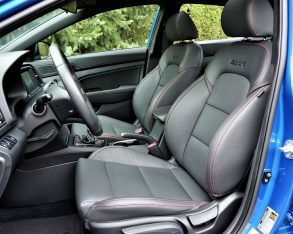 In fact, I might go as far to say the new Elantra Sport, which is the only Elantra above the base LE to incorporate a manual transmission, is the spiritual successor to previous Civic Si models (not the outrageously quick Nürburgring trouncing 2018 five-door) due to its 201 horsepower 1.6-litre turbocharged and direct-injected four-cylinder and wonderful balance, or maybe more accurately it’s the spiritual successor to Nissan’s long missing-in-action Sentra SE-R (I’ll probably get hate mail if I push the Si issue). 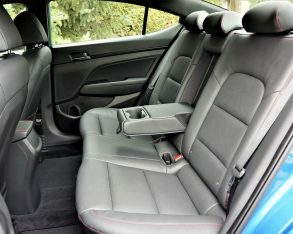 Either way it’s a superb driving car that I’ll dissect in an upcoming review. Much of its newfound goodness is the result of a new suspension appropriately named “Superstructure” by its creators. 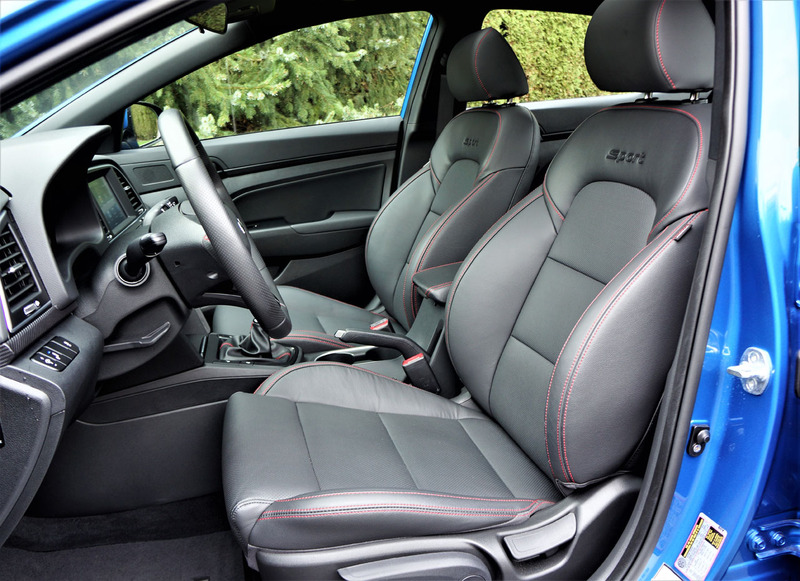 It utilizes more than 50-percent ultra-high tensile steels bonded together by aerospace-sourced adhesives (yes, we’re talking Hyundai here, not Audi), resulting in a much stiffer, lighter weight, and safer body structure that’s also a whole lot more exciting to drive. 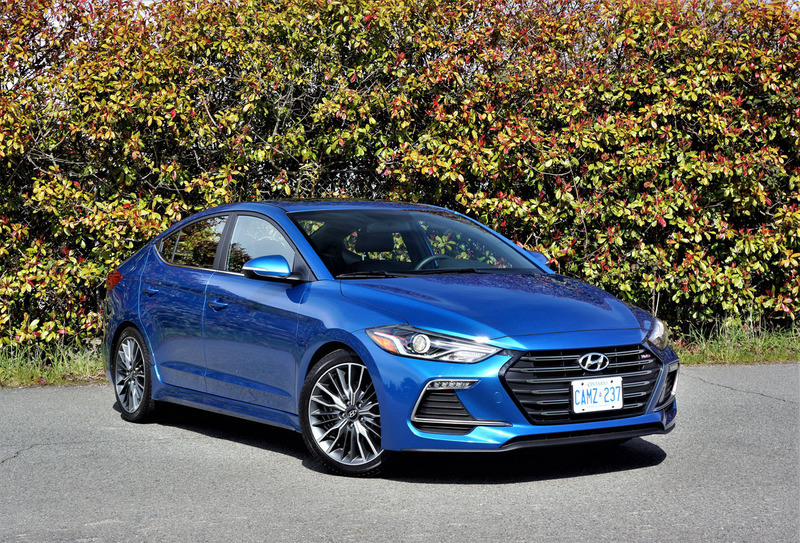 Hyundai has revised the suspension geometry too, while also isolating the body shell with a new subframe design, and made it quieter via increased sound deadening methods and materials including thicker glass all-round, making this the quietest and most refined Elantra yet. 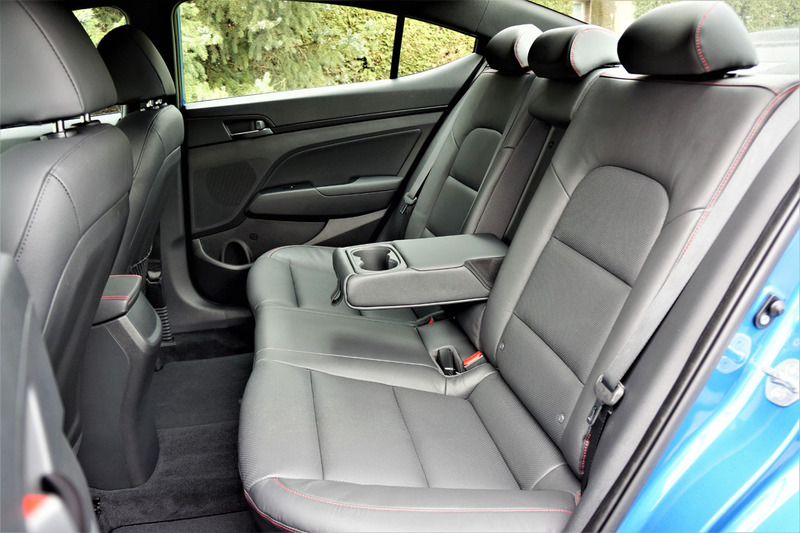 The entire interior was improved with the 2017 update too, thanks to a new design and better materials including more soft-touch surfaces. What’s more, mid-range models equipped with backup cameras get a large 7.0-inch infotainment touchscreen while top-line models receive an even grander 8.0-inch display with navigation. 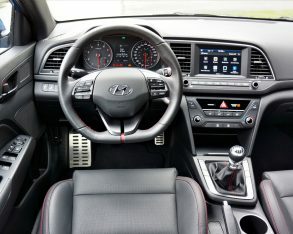 Apple CarPlay and Android Auto are also part of the package, giving this fun-loving Hyundai more connectivity options than any new Porsche. 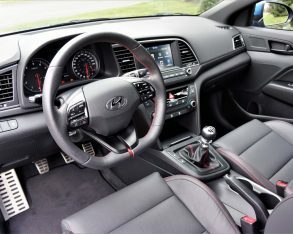 At $24,999 the Sport is priced just higher than the mid-range Elantra SE and just below Limited trim, so it’s not top of the line (that position reserved for the $28,799 Limited Ultimate), but rather sits in its own performance category we hope Hyundai builds upon with yet more features and accessories.